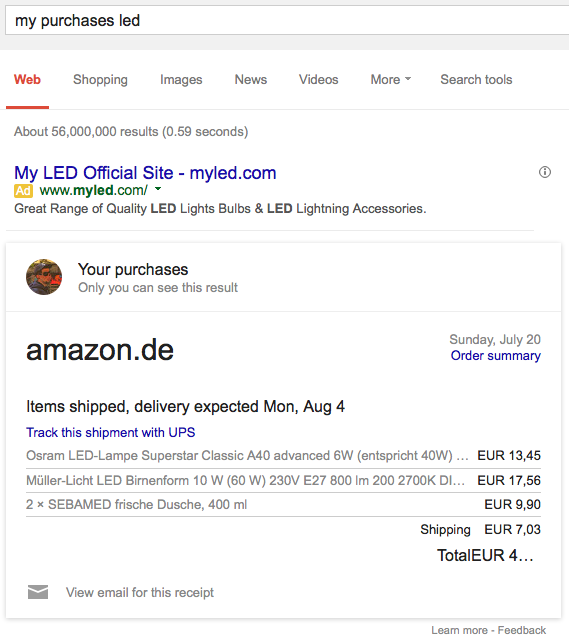 Google uses confirmation messages from Gmail to show helpful information about your purchases in Google Now, Google Search and other Google services. That's not a new feature, but there are some ways to make it even more useful. 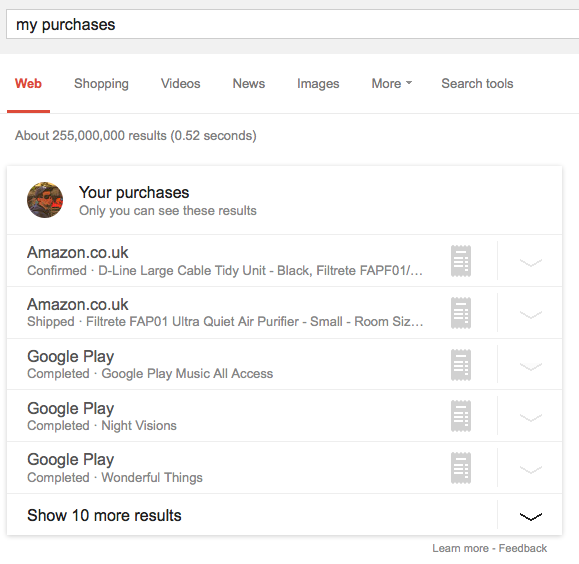 If you're signed in to your Google account, you can search for [my purchases] and Google shows your latest purchases from sites like Amazon, eBay, Google Play and more. Click one of the items to find more details, including tracking links, prices and links to email receipts. Click "show 10 more results" to see more orders. You can filter your purchases. 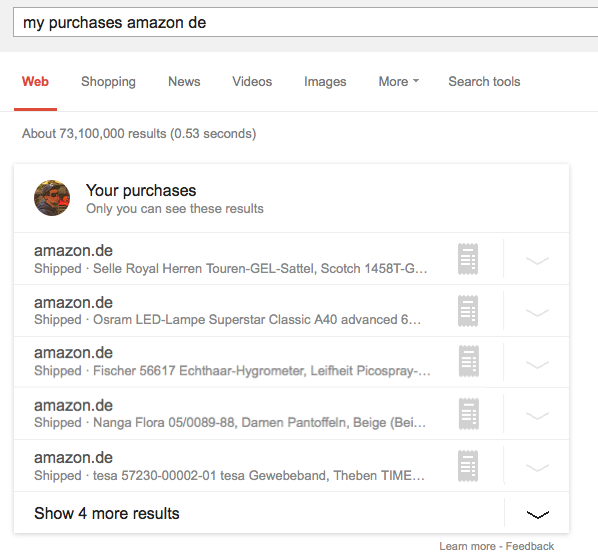 For example, you can search for [my purchases amazon de] to find your amazon.de orders. You can also search for [my purchases from June 2013], [my purchases from last month], [my purchases from yesterday] and more. This also works for searching purchases by name: [my purchases led], [my purchases shirt], [my purchases Samsung]. How to find your receipts from Gmail? 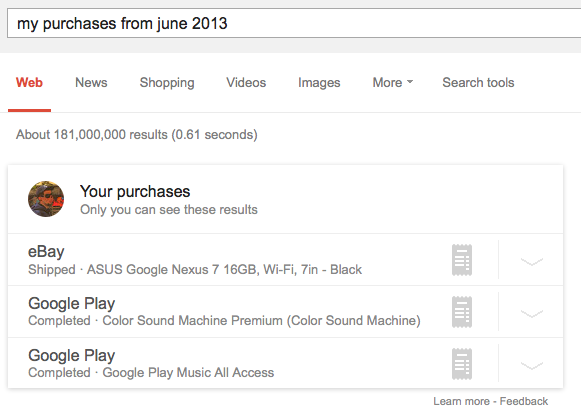 Just search Gmail for [category:purchases] and you'll find all the confirmation messages detected by Gmail. It's interesting to notice that not all of them are used by Google Now and Google Search.